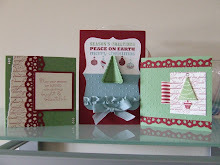 Terrie you can see her gorgeous card here absolutely stunning, congratulations on first prize! Thanks to everyone for taking part, so many beautiful entries to choose from, watch out for the next challenge in a little while! уррра!!! thank you very much! i could not find your adress, so i am writung here. Congratulations girls, stunning creations. I hope you enjoy your prizes. Thanks to you all for the wonderful Inspiration!!! WoW Congrats to the other Winners too!!!! !